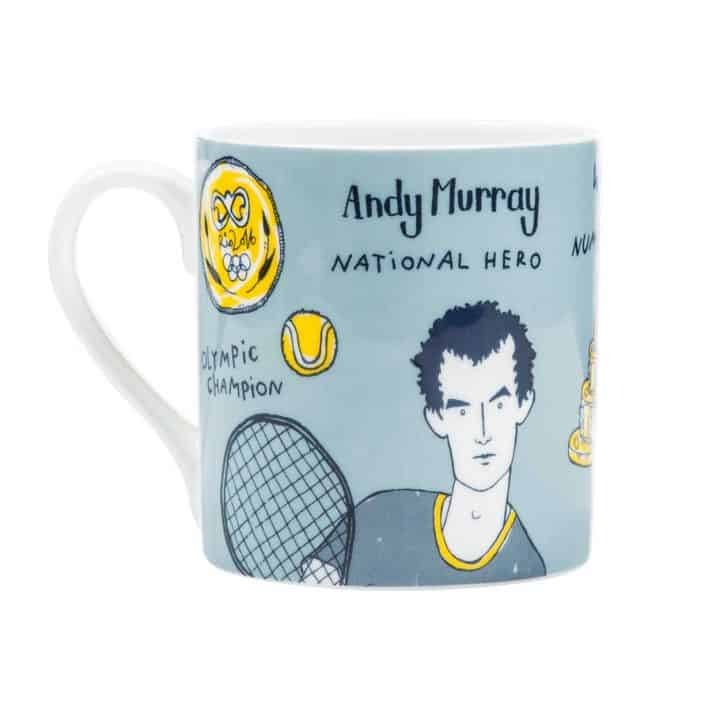 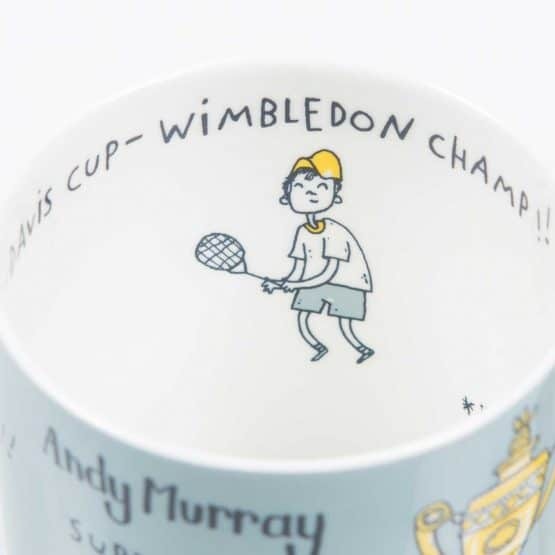 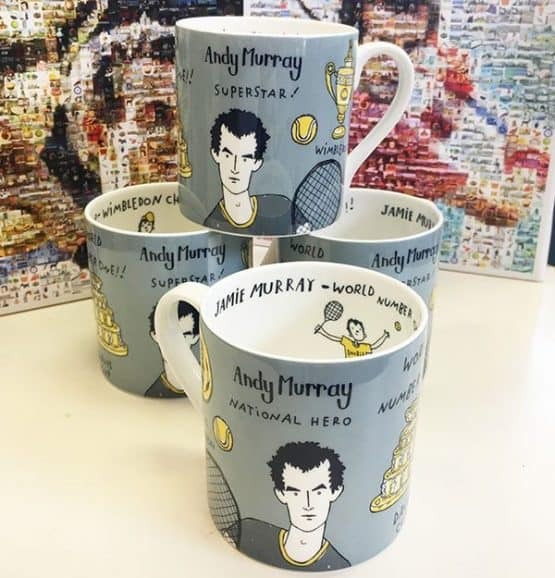 Calling all Andy Murray fans! 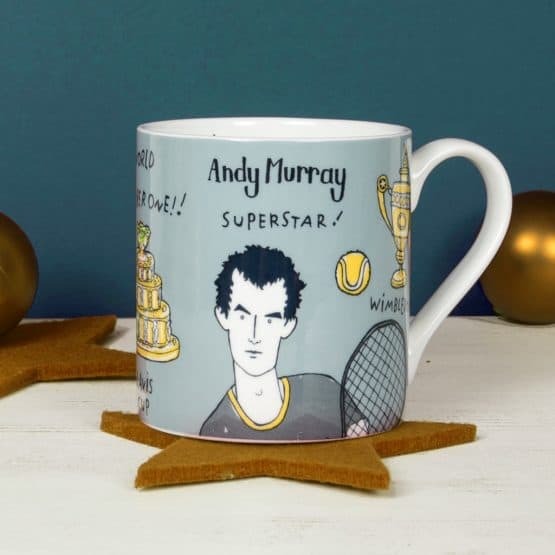 Introducing our very own Gillian Kyle tribute to Andy and Jamie, the fabulous Murray Brothers! 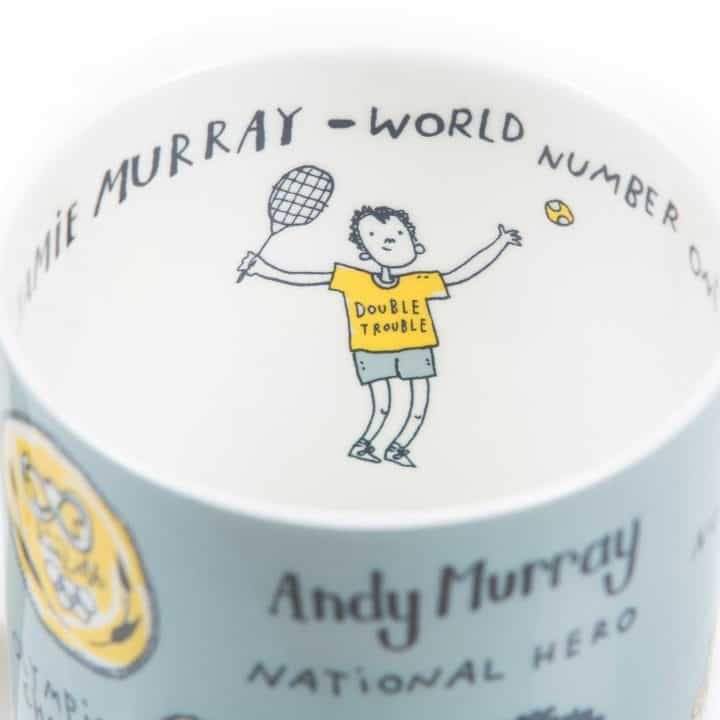 Between them they are Wimbledon champs, Olympic medalists, Davis cup winners and World Number 1’s – and of course, official Scottish National Treasures! 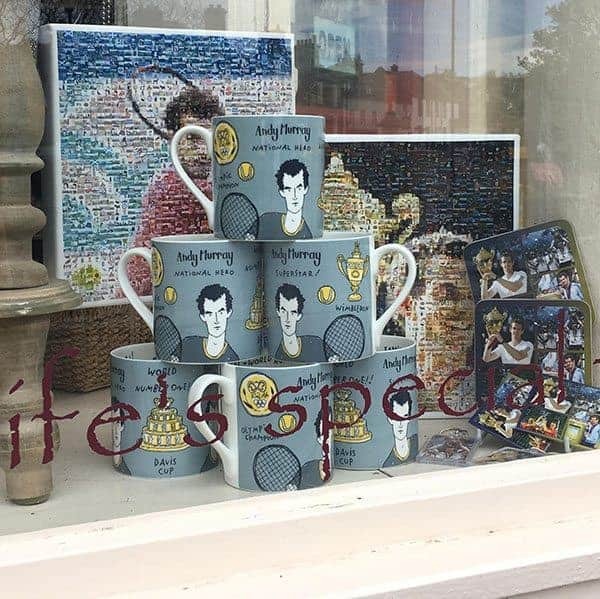 Why not mix and match with some of the characters from the Gillian Kyle Love Scotland range here? 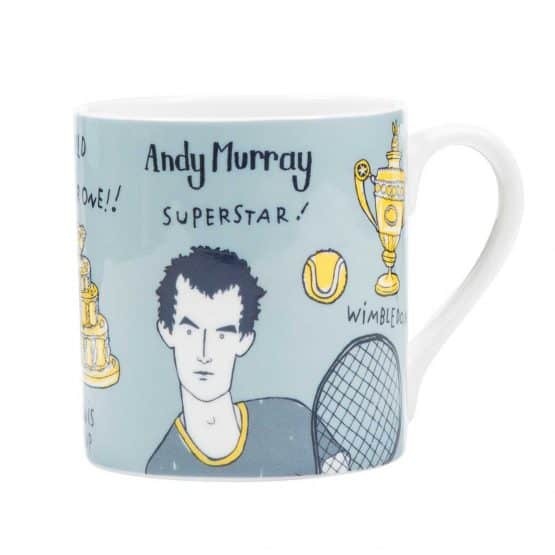 Or check out the rest of our range of mugs & cups here. Large fine bone china mug measuring 8.25 cm in width and 9 cm in height (3.25 and 3.5 inches). This mug has been carefully printed and hand finished in the UK’s historic ceramics capital – Stoke on Trent. To protect your fine bone china and keep it looking fabulous its always best to hand wash.